We know firsthand that preparedness can be the difference between life and death for animals when disasters strike. That’s why, throughout the year, American Humane offers disaster preparedness training courses in local communities across the country. 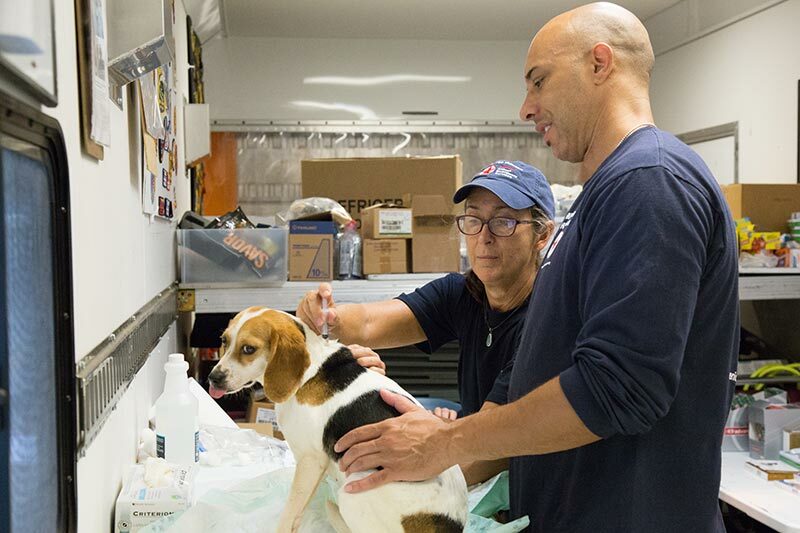 Our capable team of animal first responders and animal experts provide concerned citizens, pet shelter employees, first responders, and veterinary professionals with the knowledge and skills needed to safely and effectively manage dangerous crises. American Humane’s “Basic Animal Emergency Services” course—a comprehensive two-day session on the fundamentals of disaster response—is included in the Federal Emergency Management Agency’s (FEMA) catalogue of approved courses on emergency preparedness. For more information please call 800-227-4645 or email [email protected].